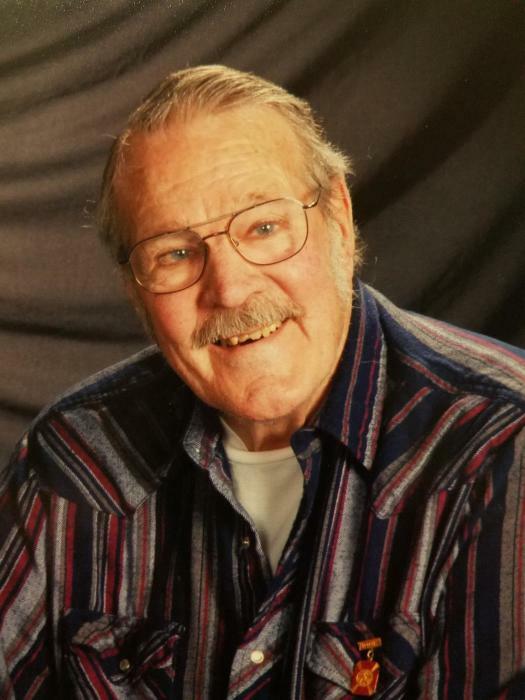 Charles (Chuck) F. Woods Sr., 87 passed away on January 24, 2019 at the Libby Care Center. He was born on July 11, 1931 in Cottonwood, SD to Lyle and Elva Woods. The family moved to Hamilton, MT in 1935. He had a great childhood, shooting gophers, fishing with his dog and living on the farm. In 1946, when Chuck was 15 years old his father was killed in an accident and he became the man of the house. Chuck started college at MSU in 1949 then enlisted in the Air Force in 1951. He was stationed at the Eielson Air Force base in Fairbanks where he met his first true love, Mary Lou Boehmer at a USO dance. They married in 1954, transferred to Tyndal Air Force base in Panama City, Florida where Charles Jr. was born in 1955. Chuck was honorably discharged in 1955 and returned to college life. Before February, they ran out money and “Went for Broke” back to Alaska working in construction until fall when he returned to MSU graduating in 1960 with a teaching degree. He taught in Livingston, Huntington Beach and Shelby, MT, where sons Peter and Edward were born. In 1965, the family moved to Libby where Chuck taught Industrial Arts at the high school and was blessed with a beautiful baby girl, Charmaine. He is survived by his loving wife Charlotte Woods, children; Charles Woods Jr. (Shirley) Libby; Peter Woods (Paige) Rathdrum, ID; Edward Woods (Wendy) Denver, CO; Charmaine Styles (John) Regina, SASK; stepchildren Alex Bluhm (Jodie) Las Vegas, NV; and Alan Bluhm (Liz) of Las Vegas, NV; 8 grandchildren and 4 great-grandchildren; sisters; Frances Carter (Gib) Bozeman; Helen Wylie of Missoula; and Orvi Overtuf (Tim) of Puyallup, WA. Services will be held at the Libby Christian Church on Thursday, January 31st at 11:00 a.m. with a reception to follow at the church. Arrangements are by Schnackenberg Funeral home. Online condolences and memories may be shared at www.schnackenbergfh.com.